Way outside the comfort zone. On June 5th, 2016, I was put way outside my comfort zone, further than I've ever been before. Jasper was diagnosed with Type One Diabetes three days after his fifth birthday. Thankfully, Jasper received medical attention in time. And now he's thriving in spite of Type One Diabetes. He was thrust outside his comfort zone and has handled it like a true champion. His spirit has never wavered. There is no quit in this kid. As a parent, a caregiver, often you feel helpless. You wish it was you instead of them. You wish there was more you could do, but sometimes all it feels like you can do is barely keep your head above water. But you keep on swimming. I'd be very appreciative if you could do one or two things. Become knowledgeable about the signs of Type One Diabetes. Awareness is the first step. Please. For me. If you can or feel inclined, please sponsor me through this page. 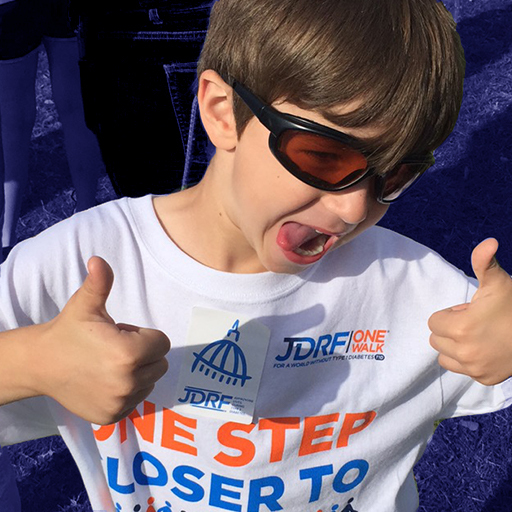 Every dollar you donate today funds research for breakthroughs to help everyone with T1D live healthier and longer, until this disease no longer exists. And every little bit helps. With your support, we will turn Type One into Type None. Want a rad t-shirt to go with your donation? Check out my Bonfire page where I have exclusive, limited-run t-shirts where all proceeds will come back to JDRF. All of them. T-shirts are only available for 21 days, but the impact from your purchase will last a lifetime. I am proud to be returning for my 2nd JDRF Ride!